Champions of Regnum allows you to play individually or with other friends and players from your realm. 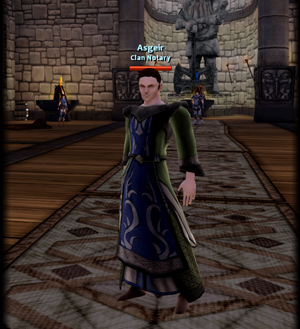 Parties are a way of meeting other players and playing cooperatively whether attempting the same quests, raiding or exploring. Killing creatures while in a party rewards each player with experience points based on the players involvement and adds an additional bonus for being in a group. You must participate in the battle to gain experience points. 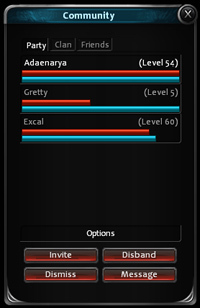 Whenever you're in a party, you'll be able to visualize the status of each one of your party mates. If you're the leader of the party, the possibility to kick any of its members is also available. For parties to attempt the same quests, each player must individually accept the same quest. To accomplish the goals of each quest, each player must participate in everything required to complete the quest. 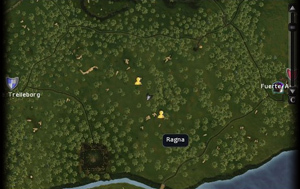 Example: You must kill 5 wolves to meet the quest criteria. Individually you must participate in the attacking and killing of 5 wolves to meet the criteria. If your party kills 5 wolves but you do not attack one of the wolves, you will only have 4 wolf kills. 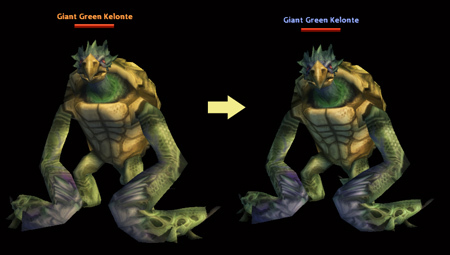 Once you join a party you will notice that creature colors used to describe the difficulty change. The actual individual difficulty of the creature and attributes will not change but the relative difficulty of killing a creature based on the skills of your party will be taken into account to best determine the difficulty of a party attack on this creature. Keep in mind that in case you lose sight of your party mates, you can always open your world map ("M" key), and their position will be shown. This info is updated in real-time, so you'll always know where to go to find your friends. At some point you may want to formalize a group of players into a clan. A clan simply gives a name to a group of allied players. You will not get any in-game benefits such as extra experience points for kills. You will have an additional chat window for talking to other clan members. However, you will still need to form a party to play cooperatively and gain any bonus experience points. Being in a clan does not restrict you from forming parties with non-clan members. In order to create a clan you will need to meet the following criteria and then find a Clan Notary to formalize it. 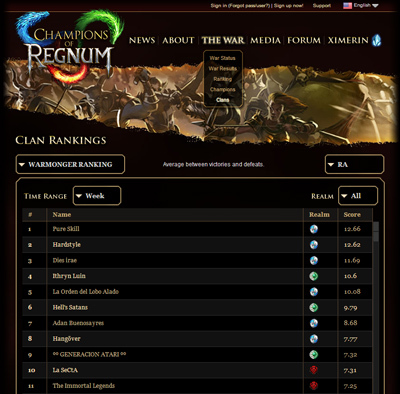 Clan ranking information will be displayed in the Clan subsection of the "The War" section of the web site.